Wilh. Steinberg is by no means a new brand to the United States but it is simply being reintroduced with a new marketing strategy. What’s the Story with Steinberg? Wilh. Steinberg was established in 1877 in the quaint village of Eisenberg, Germany. They thrived very well through the years and built quite a name for themselves as what one might call a “salon piano” or a specialty piano that was built to order. Quality workmanship and handcrafted pianos are a norm in Germany. Wilh. Steinberg positioned themselves as a silent giant because of their tone character and unusual finishes. Some industry experts consider Wilh Steinberg an unsung hero of the industry raising the bar in tone and appearance. They never garnered the iconic German names of Grotrian or Steinway, etc. but have always managed to do business in a simply elegant approach. In July, 2013 a company based out of Hong Kong named Parsons Music Ltd. purchased the Wilh. Steinberg factory because of it’s unique position in the market, the positive value and their reputation. Parsons has piano investments all over the world they are also among the largest piano manufacturers globally. Most importantly, Parsons decided to leave the German factory intact and add an additional line that would enhance Seinberg sales and profits. 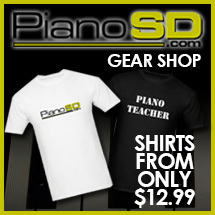 Presently the company offers two lines of pianos. The more economical line is based on the German scale design but is hand assembled in China by some of the finest craftsmen available in the piano industry. This series of pianos are called the Performance series. The Performance Series incorporates the German scale design by including a German soundboard, German action and action parts, German strings and German hammers. It is available in both upright and grand models with a few different color variations available in most models. The more professional line is made in German by Master Craftsmen with the experience that comes with a handmade German piano. The Signature Series are made in Germany. This series feature some of the oldest techniques in manufacturing and are entirely built by hand in their factory in Eisenberg. The unique qualities of their manufacturing process make these pianos very attractive. The price is affordable, the cabinets are lovely and the tone is strikingly elegant. Under the watchful eye of Ina Lehman and her staff at the direction of Parsons, I believe we are about to see a real mark with Wilh. Steinberg in the United States. Wilh. Steinberg is distributed in the U.S. by Piano Marketing Group. For more information simply fill in the comment area and someone will get back to you. This entry was posted on Friday, February 8th, 2019 at 9:18 am	in General Posts, Piano Makers. You can follow any responses to this entry through the RSS 2.0 feed. You can leave a response, or trackback from your own site.